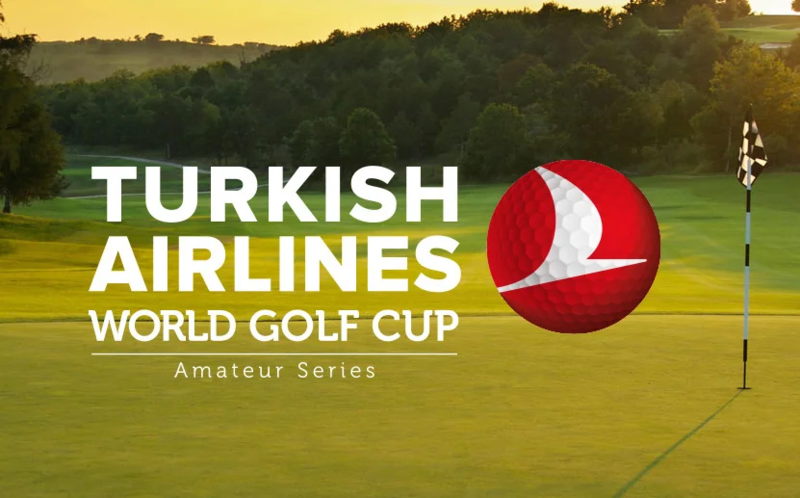 LAHORE: The Turkish Airlines World Golf Cup Amateur Series has become the widest reaching in corporate golf with 100-event Qualifying Series, which takes place in 60 countries worldwide. In the Pakistan Qualifying Series 2019, over a hundred successful golf playing amateurs will tee off at the scenic 18 holes, par 72 Royal Palm Golf and Country Club Golf Course today, in quest of the much acclaimed Turkish Airlines Golf Trophy. The Pakistan Qualifying Series 2018 defending champion is Muhammad Asim Tiwana. The reward for victory in this championship is sizable and besides a gold trophy and a model aircraft, the celebrated one will qualify to play in the Grand Final due to take place in Turkey in the first week of November 2019. This competition is based on the stable ford format, and while each birdie adds to the points tally by three, the par brings a premium of two points and the bogie brings in just one point.S o the participants in the race for the Turkish Airlines Trophy will chart out their plan of play in a way that birdies and pars become a norm and the score card is filled with desirable scores. For smooth running of the championship, Harry Tomlinson of Turkish Airlines will be there to supervise and as per announced schedule, the tee off will take place at 11am through a shot gun start at Royal Palm Golf Course. As for the adept and capable ones with a double digit handicap, quite a few are talent loaded and through a patterned application of golfing skills are likely to outsmart the top performing single digit handicappers. Remarkable ones falling in this category are Abdul Islam Nazir, Hamid Sharif, Dr. Tashbeeb, Imran Mairaj, Abid Farooq and Max Babri. Certainly there is a refreshing touch to their shot making and if their putting ability does not desert them, the star of the championship could be one from their lot. Eager and skilled participating competitors include over 25 single handicappers, most of them capable of hitting the ball with fearsome rhythmic power and possessing the ability to produce a feast of golf backed by the forte of good temperament which enables them to match each other point for point and not give up their quest for honors right till the last point in this stable ford format competition. Notable ones who fall in this grouping are Hussain Hamid, Amir Mehmood,Shoaib Bokhari, Azfar Hassan, Harris Naseer, Faisal Ali Malik, Faisal Sayid, Farid Malik, Shahid Abbas, Shoaib Shams, Dr. Tariq Malik and the fifteen year international golfer, Damil Ataullah. Ladies are also a part of the Turkish Airlines Event. Eligible to participate are ladies with a handicap of 24 and below. Winner lady will get a gold trophy, while runner up gets a silver trophy and the one coming third, will be awarded a bronze trophy. The Royal Palm Golf Course has been prepared well for this international event and green speeds are going to test the putting skills of the champions.